This card's name becomes “Harpie Lady” while on the field or in the GY. You can only use each of these effects of “Harpie Oracle” once per turn. 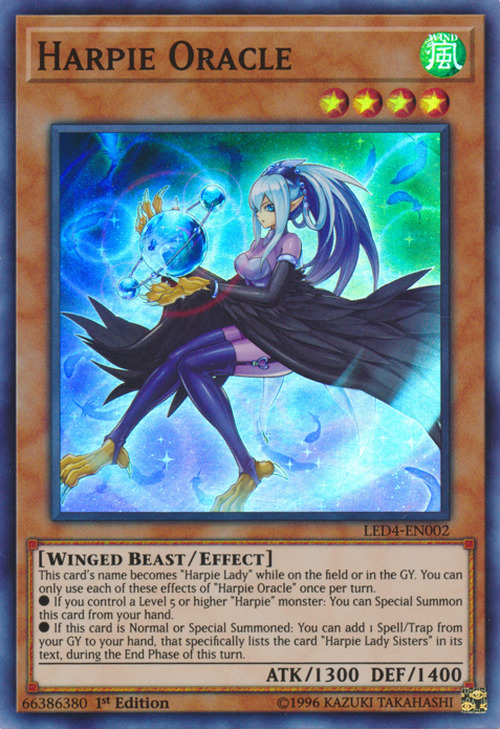 Like Harpie Perfumer, this card likely refers to Mai's phony psychic power that she used to trick Rex Raptor and Joey Wheeler.